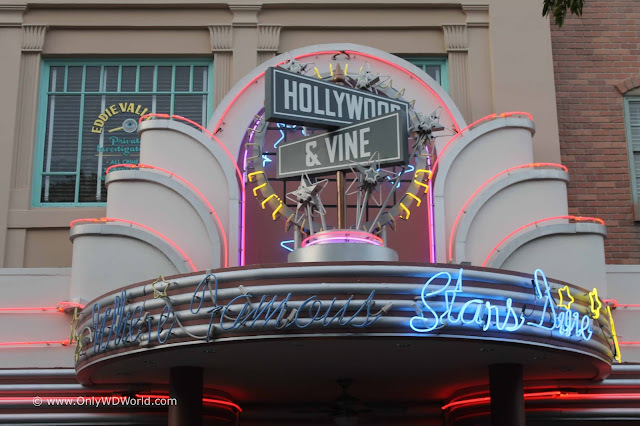 Home � Disney World Character Dining , Disney World Dining , Disney World News , Minnie Mouse � Minnie Mouse Comes To Hollywood & Vine Character Dining! 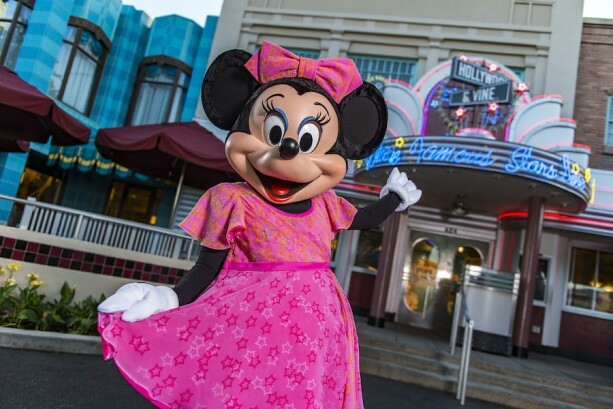 Minnie Mouse Comes To Hollywood & Vine Character Dining! Minnie Mouse will be coming to Disney's Hollywood Studios as part of Minnie's Seasonal Dine at Hollywood & Vine year round! Mickey Mouse's main squeeze will vary her look by the season, but she will become a regular honored guest at the Hollywood Studios favorite buffet dining location. Minnie’s fabulous dinner parties celebrate the cheerful togetherness of the holidays, the glamour of Hollywood, the delight of spring, the excitement of summer and the frightening fun of Halloween. With each new season, look for unique music, décor, all-new costumes, menu items and interactive musical moments. Reservations open October 27 for the next seasonal dine. From January 4 to March 20, Minnie will be hosting a dinner party celebrating the magic of the movies and the glamour of Hollywood. Make your night even more magical by adding the Fantasmic! Dinner Package to your meal. For reservations, visit DisneyWorld.com/dine or call 407-WDW-DINE. 0 comments to "Minnie Mouse Comes To Hollywood & Vine Character Dining!"